Engage & Win Customers, Even While You Sleep! 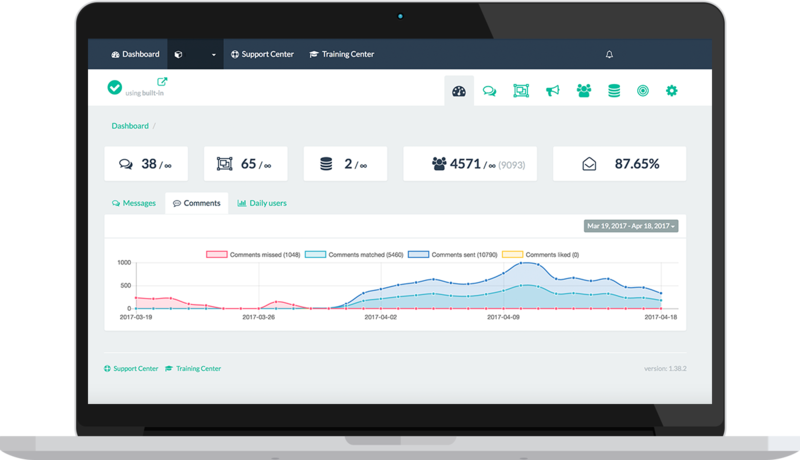 Smarketing Cloud’s Messenger Marketing Platform can grow your subscriber list, increase customers, create automated communications, and broadcast messages in just a few clicks. Automatically send personal private messages to customers who comment on a specific Facebook post or click on your Facebook Ads. Make yourself available to your customers, with little or no effort on their part. 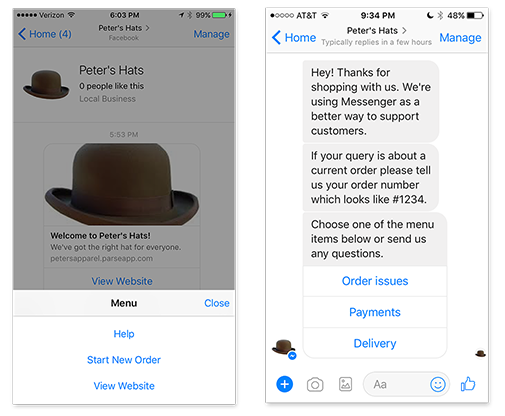 Let your customers ask questions directly through Messenger in real time, personally and privately. 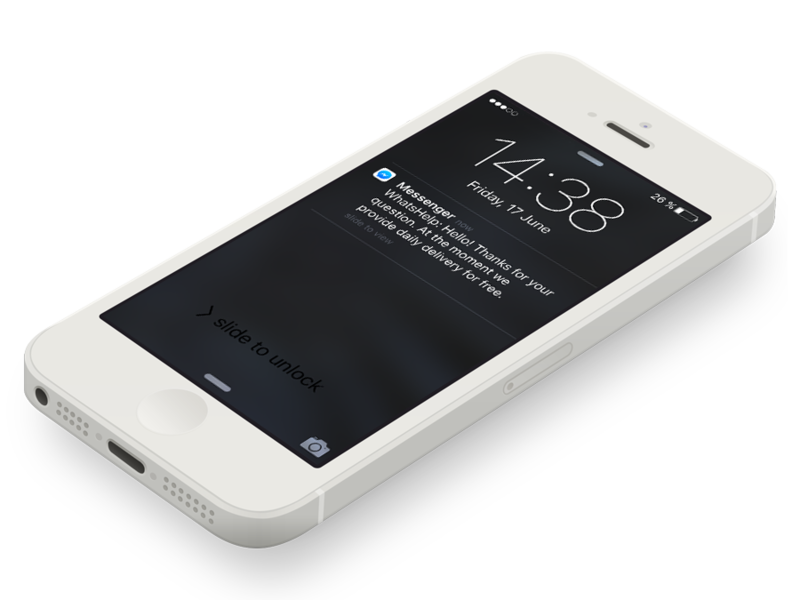 Share order confirmations and shipping status updates “in the moment” with mobile push notifications. Support customer correspondence with relevant images and videos to make one-on-one communication real and relevant. 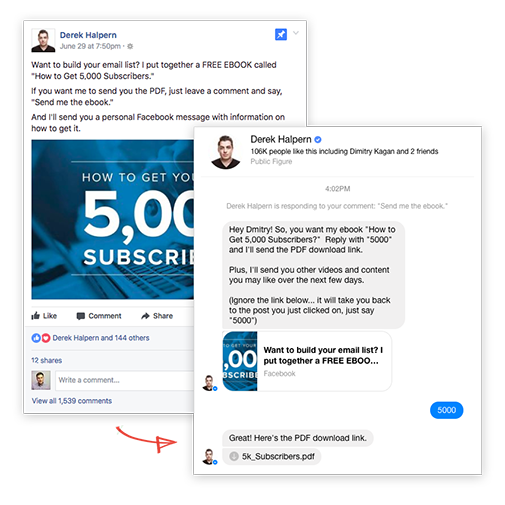 Smarketing Cloud allows you to create a Messenger bot and connect it to any Facebook Post(s). Once someone leaves a comment, the bot automatically sends a private message via Messenger. It’s a great way to send promo codes, share content and start sales conversations. The Messenger chatbot can automatically follow up on customers within 24 hours with a promo code or useful content if they were interested in your offer. Link your ads, website and social media presence directly to a conversation engine that helps you and your customers simplify the process of buying. Build a Facebook bot without coding to automate sales or lead qualification process. Bots can help you with giving a coupon, asking common questions or sharing content. Reach out to your customers, wherever they are. Segment customer based on custom parameters such as the messaging channel or the date of last contact. Send relevant content and personal offers to the specific segment or simultaneously to all of your customers. Setting up broadcasts is a breeze with our visual builder. Create rich messages with images, files and deep links. Automate the process with recurring campaigns, scheduling and much more. Facebook page automation. Messages & comments. Everything you need to automate your Facebook page! Grab visitors’ attention and chat in real time with website visitors using Messenger. Save Facebook leads, people who comment or messages to your business page. 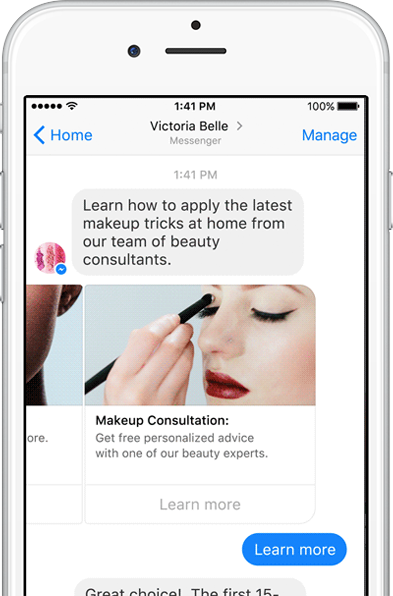 Use Facebook ads to get more customers for your Messenger account. No more responding to each message & comment, platform does it for you. Send content updates, valuable notifications or anything else that your users have subscribed to. Reply messages & comments automatically. Do not force your customers to wait. Schedule and send bulk messages to your leads. Reengage them at any time. Forget programming, our easy drag and drop interface helps you with template designing. Integrate with Smarketing Cloud Core our 3rd party plugins, RSS or JSON API.